If you’ve a strong writing skills especially in English language, then you’ll become a good content writer and content market, because English is a universal language. But if you’ve not a good writing skills then learn it. But these skills not become perfect within a days, these skills only becomes perfect by practice and determination and it takes some time too.No one in this world born as a excellent content writer. Learning and improving your writing skills in English takes a lot of time and practice. If you want to learn more and improve your writing skills then follow these rules and then see the magic. Generally you know that how to correct some basic sentences and words like their, and there, then and than and your and you’re etc. These are some common words which are mostly used in our contents. But if you want to write a contents that goes viral and engaged with others? Then it is not a easy task, you must take some practice and learn more about it and developing your writing skills. These are the expert advice’s and tips that helps you to enhance your writing skills. These tips are collected from many sources and then mix in a single article. That helping you to develop good writing skills to boost your content writing skills. 2 Final Words For You ! ! ! If you want to writing a viral contents that goes viral and engaged with people, then you must first know a lot of that particular topic on which you write. Like if you want to write an article on Business Skills related then first you must know about business, then business skills and then write into your own words. That is not an easy task because it takes a lot of time, patience of reading other articles and then utilize into their own words. So learn more and more and then try to write into your own words and your contents goes more viral and people engage with them. The biggest mistake in our daily writing typing contents is the grammar. We not learn about sentences and then make it as we want. Without sentences you cannot become a good content writer. So always first learn about English sentences and then try to write. Don’t try to do all things in a single time. People learn some basic steps and want to writing contents that goes viral. Without all basic skills you can’t be able to write a engaging contents. First of all, before starting a writing contents, you’ll need to learn at least the basics skills and principles of writing and then try polish your skills. After some time, when you feel that you’re able to do writing a good piece of contents then write articles and improve your writing skills. This is the art of writing styles. If you want to become a good content writer and content marketer, then it is very important for you to write a conversational contents. Simply includes some surveys, questions, quizzes into your contents and make it more conversational, so people reading your articles and engaged with them. If you practice on daily basis to write English sentences and English contents then it might be very useful for you. As much you practice as your writing skills improve. So if you writing on daily basis, it becomes your habit. After a few days you see that the difference comes in your writing skills and it becomes more natural and useful. Don’t choose a big topic like a guide or writing a eBook styles articles. Firstly focus on mini topic and work on it. Write a rich contents and engage your readers. After some times when you feel now this is the time to write a full rich media contents that people want, then write long articles and share with your readers. Your daily life filled with thousands of memories and inspirations with different ideas. Find your inspirations and then discuss about it, engaged with others and share with friends. This make your writing skills more perfect and engaging. There is no doubt, gadgets helps a lot in our daily life. But when you sit back and want to start writing anything, then keep away these gadgets because they disturbed you. Like a cell phone, messages, chats, Facebook, tablets or any other which disturbed you during your learning time. It is better for you and all of others who sit back for doing some work but not doing well. This is only because they don’t keep away these gadgets and use them during learning time. No doubt, grammar is a very big paid, especially for Non-English persons. If you don’t know completely about English Grammar, then don’t worry, use some online resources like Grammarly, and GrammarCheck that helps you to check your grammar mistakes. This is also done via MS Word, simply write in it and it also show you error if you spelling mistakes or grammar mistake. People work better in private offices because they know that if they don’t work properly they will be dismissed. Same like in writing, when you write then take it seriously and take it as it’s your job. When you pressurized yourself, then you write more properly and efficiently. Write on regular basis at least 25 minutes, then you’ll be easily develop your writing skills. Headlines or title of an article is the key of your article success. People first check the title or headline of the post. If they find it attractive and engaging and getting your visitors attentions, then they try to reading your whole article. So it is very important to write a unique, eye catching, and attention-grabbing headlines. I see many newbies, who try to write as long article as they can but they not focus on the quality of the article. This is very bad habit and wrong way to writing. You should always try to focus on quality not quantity, because if you write an article about 1000 words but it has not quality then it’s value is zero. But in same case, if you write same article in 500 words but it contains quality, then it might be very useful and beneficial for you. Because people don’t want to read long articles, they just find information. So always try to focus on quality of the contents not quantity. It is more better to writing articles with your friends and partners. If you’ve a partner, then you might be learn more from each other and writing skills becomes more perfect. Not write any time on any place. Because writing takes time and it want a good place where you easily doing your work. So you should try to writing in a different places and different times a day. Maybe writing at mid night is the best time because the experts tells that writing at night getting more ideas and exploring the topic more easily. Anything done in a first time perfectly is not a easy task. Because if you’re expert in any field, then there are also many chances you fail in first try. Because it is hardly for any person to do things perfectly in a single try. Similarly, writing contents in first attempt is not a good. Always review what you’ve already written at least one or two time if possible. Because there are many errors occurs in a first attempt, so after reviewing this, you check the whole article and point out the mistakes and solve them. Final Words For You ! ! ! 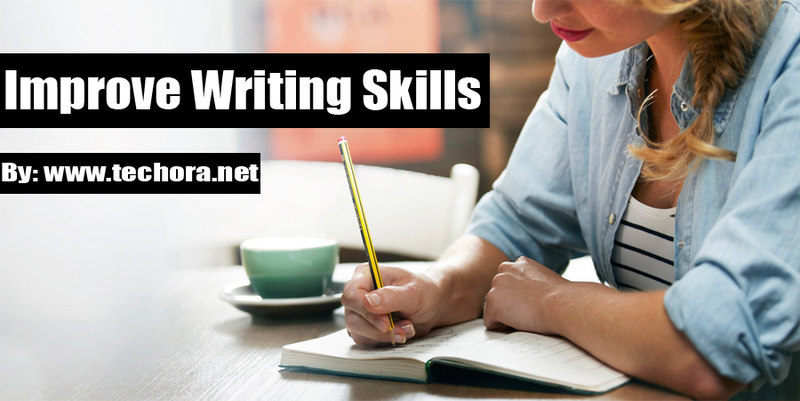 Writing skills is very important and compulsory especially for online marketers and bloggers, and content writers who writes daily on different way. Like bloggers writes on their blog, journalist writes in newspaper, contents write writes on different places. So if you develop your writing skills first and then work on these kind of jobs, it might be useful and beneficial for you. I’ll compile these 15 expert tips which solve your answer of “how to improve writing skills”. I hope you might be like this article, and if this article helps you then please share it with others . Happy Content Writing ! ! !